The chapter identifies and analyzes the factors that affect the reliability and, as a result, the performance of the communication system. The features of determining the performance and throughput through noise immunity indicators are described. Using several methods for calculating the probability of a symbolic and bit error, data is compared and analyzed. Factors to improve the noise immunity of the telecommunication system are justified. Introduction. Over the past decades, digital communications have entered a phase of rapid development, and actively continue developing now. Today, the wireless broadband networks are rapidly spreading, potentially transforming from 4G strategies to the latest 5G strategies. An integral part of these strategies is multiservice, tied to diversity, simultaneous multiplicity, significant volume and high speed of information transmission in the providing of telecommunications services. The requirements for communications performance are the consequence of this. The traditional tool for implementing high performance communication channels is the multi-point modulation (QAM-M: QAM-64, QAM-256, QAM-1024, etc.). But in wireless broadband communications, a significant obstacle to achieve the desired performance is the lack of noise immunity, which is limited by energy, space dynamics, and other limiting factors. So, it is important to further develop the fundamental theory in the field of information transmission in complex energetically space conditions, as well as the development of advanced methods at the OSI physical and channel level, such as modulation, coding, etc. The aim of the work is to research the features of using known and original methods for determining the noise immunity indicators of multi-service information and evaluation of the quality characteristics of information transmission. 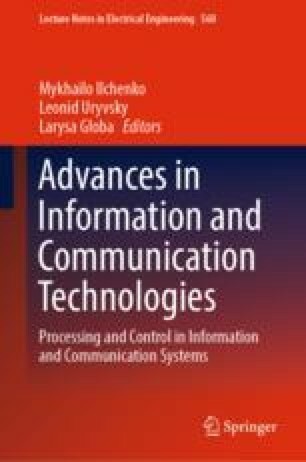 The object of the research work is to analyze the methods of estimating the quantitative indices of noise immunity in the high-speed telecommunication system on the physical level of the OSI model. The subject of the research is the noise immunity of the multi-position signals, combined with a Gaussian noise in the duplex high-speed communication line. The scientific novelty of the work consists in the development of the vector-phase method (VFM) for accurate analytical determination of the noise immunity indicators for multi-position signals through the reliability indicators of these signals, the feature and advantage of them are their accuracy and complete matching with the simulation modeling results with using the proposed method, as well as quantitative comparisons of formulas that obtained using VFM with known formulas.